Anil Ambani has served a legal notice on Google and Advocate Pranav Sachdeva, a junior colleague of Prashant Bushan through a Law Firm. This is in response to a blog post on Ambani entitled “Black money of Anil Ambani (Prashant Bhushan’s Complaint SIT)”, allegedly posted by Sachdeva on Google’s blogging platform. It is learned that no legal notice is served on Mr Bhushan who claims to have sent the complaint to SIT. The blog had put up a letter purported to be addressed by Mr. Prashant Bhushan to Shri. M.L. Meena, Member Secretary, SIT, Ministry of Finance. It has also put up a show cause notice dated 11th September 2013 purported to have been issued by the Adjudicatory Authority of Directorate of Enforcement, Government of India to M/s AAA & Sons Enterprises Pvt. Ltd.
“The title and contents of the blog are grossly defamatory and falsely suggests to the reader of the blog that our client is involved in black money transactions and a complaint of money laundering has been filed against our client in relation to the 2G Scam on the basis of fresh evidence. It says that the content of the blog are malicious and unlawful and covering sub judice matters are absolutely false, baseless, offensive and grossly defamatory, posted for the purpose of causing embarrassment, annoyance and injury to Mr. Ambani. The blog was then directed to be removed and ensure that the same is not repeated. It also demands the disclosure of identity, address and complete details of the blogger, warning that non-compliance would attract civil/criminal proceedings against them. 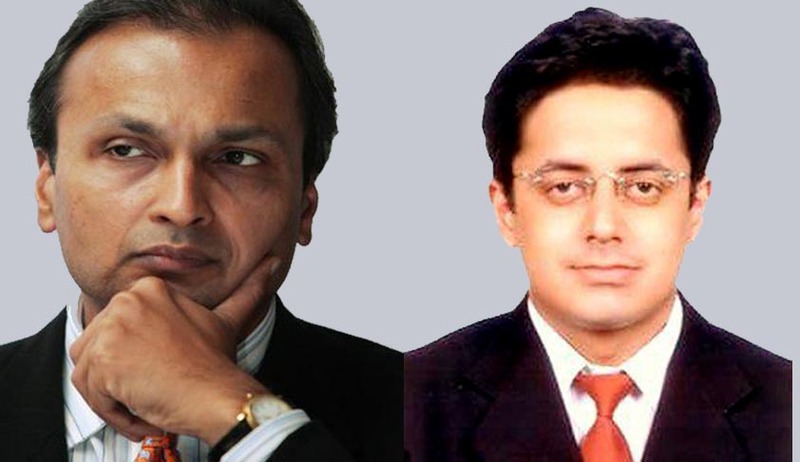 Mr Bhushan has responded to the legal notice through a letter to Anil Ambani. Bhushan has replied: “You have sent a notice for defamation to Google on 21st July 2014 for allowing its blogging site to host a blog where someone has uploaded a copy of my complaint to the SIT against you. You have also addressed the notice to my junior advocate who had only sent the copy of the complaint to a few select persons on my instructions. It is strange that you have sent the notice to them and not to me who is the author of the complaint. In the letter purported to be addressed by Mr. Prashant Bhsuahn to Shri. M.L. Meena, Member Secretary, SIT, Ministry of Finance, Bhushan has alleged money laundering involving the Anil Ambani Group of Companies that the SIT ought to investigate and prosecute. Read the legal notice here.